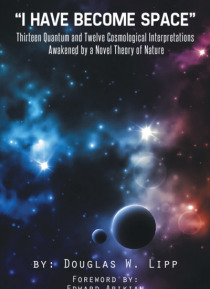 The book "e;I have become Space"e; - Thirteen Quantum and Twelve Cosmological Interpretations Awakened by a Novel Theory of Nature, is about a theory that offers up to the scientific community a new interpretation of nature. The book is about Time, and Space, and Matter. The theory quantifies a given unit of mass into a spatial quantity and offers up reasons for why and where the new space… comes from for there to be an expanding, and even an accelerating, Universe. Through one equation, MTS, a paradigm shift in science unfolds. The theory combines the space-time continuum with the mass energy equation and perhaps even unifies quantum mechanics with gravity, a Quantum Gravity theory. The theory is accompanied by a Fourth Law of Motion. Solutions to Dark Matter, Dark Energy, the Double Slit experiment, the Measurement Problem, and more, are clearly explained. The book and its contents welcome community feedback.